We define the best luxury experience one customer at a time. 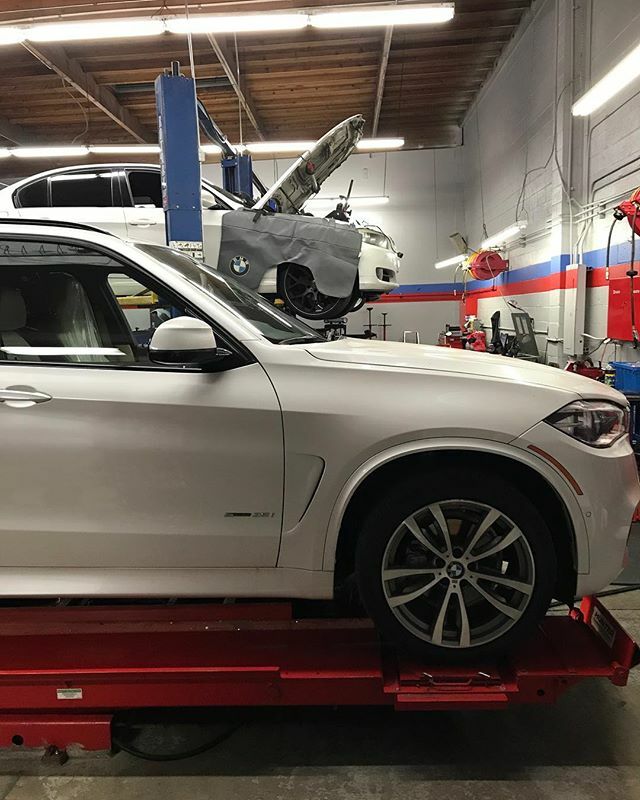 We learned long ago that our customers have come to appreciate that owning and maintaining a BMW is just as important as purchasing a BMW. Auto repair and service are not items on your list of things to do. These things are part of the BMW ownership experience, at Bavarian garage. You know how you go to a fancy restaurant to eat and the food is absolutely divine? You don't even need to add salt or pepper because it's just that good! I want to welcome you to the automotive equivalent of a Michelin restaurant! I give to you Bavarian Garage! We are the Bobby Flay and Gordon Ramsey of BMW repair! You only get the best! On top of being funny looking and friendly, we are honest and dependable! BG is a one stop shop for all your Bimmer needs. We live and breathe BMW, so you have the upmost confidence that they know exactly what they're talking about! Whether it's a major repair or your scheduled maintenance, you're in good hands! Let us help you keep your Ultimate Driving Machine where it was born to be! We have invested in all the latest specialist tools and diagnostic software that is specifically tailored for the software you your vehicle. Bavarian garage is the best BMW shop around! It’s a great family atmosphere, work is always on time & my car come out clean. Highly recommended for all BMW owners. Bavarian Garage has been servicing my BMWs for 5+ years. They deliver high quality work, are very professional and never had any complaints. They have earned my business for life. I feel like I am visiting family whenever I bring my car in for service. I never had any recurring problems with my car. I love the service at Bavarian Garage.